Worked on this one as a part of Fube. We were responsible for all shots with the little robot character. Together with Smokin’ Barrel we helped Pon-CAT explain in an easy and fun way some of the features of their new all-in-one software – the M3. 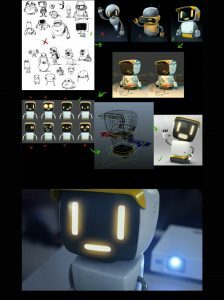 The design of the robot went trough meticulous adjustments and the little character is going to be used in various formats. I modelled, shaded and lit the robot. Additionally I did the on-set work on most of the shots.